Comer & Co. Antiques and Interiors offers an extensive and eclectic selection of fine antiques and decorative arts. 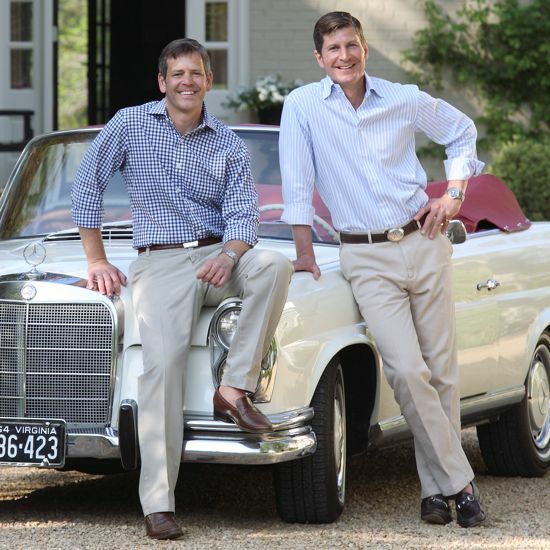 Owner Fred Comer (right), along with his partner, Mark Manoff, strive to present the finest merchandise created by the best artisans and craftsmen of their time. Comer & Co. offers an unrivaled inventory of authentic and highly decorative period antiques specializing in 18th and 19th Century English and Continental furnishings and incorporating mid-20th Century pieces as well as an eclectic collection of paintings and exceptional accessories. With two locations; the University town of Charlottesville, Virginia, and the charming Chesapeake Bay village of Kilmarnock, Virginia, Comer & Co. also offers a diverse range of decorative accents including garden ornaments, an extensive line of beeswax and scented candles, a large selection of lifestyle books, and distinctive European bath products. With an ever-changing inventory displayed in a relaxed, comfortable environment, Comer & Co. invites you to visit our beautifully decorated stores. We look forward to seeing you.